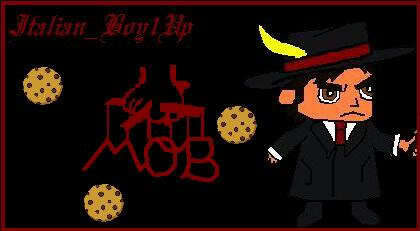 Welcome to the Cookie Mobster's forum. Please sign in, post on our forums, join us in the chat, or even get initiated into the clan. Cookies have disbanded, please contact Italian_Boy1Up at theheartbreakers.tk or cakelair.net for more information. I wont have a PS3 and computer for a bit. So byez for now. I will try to be back as soon as I can. & Raxo is in charge of BOTC yay! he rocks! Thanks guys! Have fun with BOTC hope to play with you guys again soon. NOOOOOOOOO CLAUDIA!!!!!!!!!! We'll miss ya come back soon! Aww =( bye bye for now. Hope everything works out and that you are back soon!!! We'll see you soon, Claudia! I hope to see ya soon ms. claudia.